I would like to add my wife to this app..We file jointly. 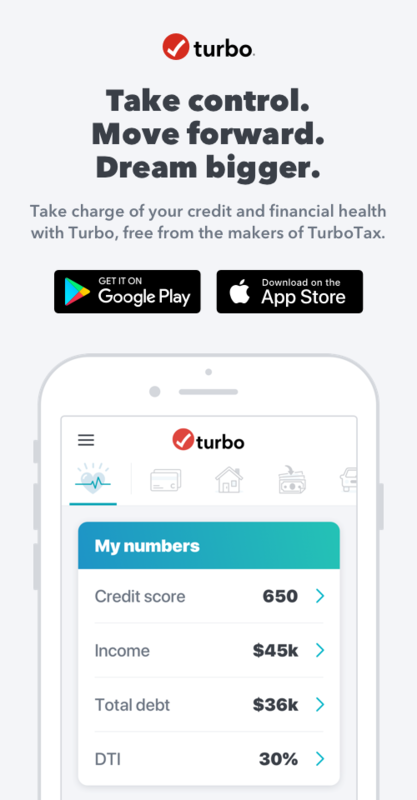 If you are married and filed jointly with TurboTax and now have Turbo for iPhone App, you can add your spouse in so you can see a household view of your income, debts and DTI. As well you can drill down into the credit report for all household members. To add your spouse, go to the overview and swipe right to see an option to Add Spouse. Or go to Profile in the hamburger menu and on household card, click Invite to Household. I cannot swipe right on overview as you suggest and also have no option to invite via profile and see no household card as you recommend. Did you import your TurboTax data into Turbo? That's great then you qualify to see this new feature! If you have the Turbo iOS app, then you should see a 2nd card on the Overview that lets you add spouse into your Turbo. Again I do not have that option. I also have deleted the app and reinstalled it.